This was the note that I got from one of my editors. She had embarrased herself by bemoaning a family situation with me. I told her not to worry. The situation was all too familiar. She wasn’t sure she believed me so, as any writer would do, I illustrated my point. Help! I write short. It’s what I do. But I know flash fiction is short so I decided to look into flash essays. One market listed 1000 words. Another 350. 350 – 1000 words. That is something I could most likely handle so I started looking for information on flash essays. Also known as a micro-essay. A flash essay is written in first person. They generally only have room for an anecdote or two. It goes beyond personal narrative, pulling in ideas and data that broaden the scope of the piece. A flash essay is to essays what a sparkler is to fireworks. Short, intense, and wonderful. A great way to get a feel for a type of writing is to read it. Two places that you can go to check them out are The Christian Science Monitor’s Home Forum and concīs. Why only two? It seems like a lot of the places that publish essays charge reading fees. Me? If you have to pay for them to read it, that’s not a market. That’s a service. If, on the other hand, they read it without charging you and then pay you even a small amount. That’s a market and, at least in my mind, will attract a very different type of material. Obviously, I’ve got some research and writing to do if I’m going to make this flash-essay thing work. Why do I write what I write? The answer varies according to what my focus is at the moment. I’ve written for the horse loving kid I once was. I written for the young reader who just wants to find a great book. I’ve also written for the kid who loves to work with their hands. Right now? My focus is on writing for young readers who want to know the world. They want to know what is vs what they have been told. They suspect something in that “common knowledge” may be a bit off and they want to know fact. It’s why I write about race and about science. As a society we are spectacularly clueless about both. Ironically enough, my current project has more to do with science than race but my recent reality check came from the world of racism. The other night, I tried to explain to someone that I really do know a little something about the Kaepernick situation, the protest, the racism in the National anthem, etc. Really. I’ve researched it. I’ve written about it. My first two books on race have gotten really good reviews. The third one has only been out for a few weeks. I was going to tel him the names of all three books. I got as far as Black Lives Matter. The fireworks were glorious. Let’s just say he has blocked me because we “have no common ground.” He turned off notifications. The ignorance, fear and narrow-mindedness that led to that reaction? Yeah, that’s why I write what I write. Kids need books that present them with facts about topics the adults in their lives are afraid to discuss. Apparently, I’m the aunt that appalls those adults. And the best news? This whole argument about the NFL and the flag has given me an idea for another book. I’m still noodling it over and I’ll be diving back into the constitution and may have to interview vets. Still, I’m sure it will be offensive to many. I seem to have a knack. I’d love to say that I finished a whole chapter today. That would sound really impressive. And I thought I would manage to pull it off when I saw how few comments my editor had on my chapter. Seven. You should be able to pop through seven comments lickety split. Sidebar from The Ancient Maya. Make sure this word is in the glossary. I’m not saying it should be here, but somewhere in the chapter/book, you need to address X. Cut the preceding two paragraphs and expand on the ideas in this paragraph. Make sure that your sidebars are spaced evenly throughout the chapter. This particular comment was the last one. The one about sidebars. For those of you who haven’t included sidebars in a manuscript, sidebars are those bite-sized write-ups that provide just a bit more information about something in the chapter, article or book. A sidebar is offset from the rest of the text often by a box, title, different font, or background color. This sort of thing is handled by whoever does the interior book design. Within the manuscript, a sidebar includes a title and is double-spaced. It looks a lot like the surrounding text. When I write for Red Line, I set sidebars off by including SB: at the beginning of the title. The one above would have been SB: Jade. I also have a fairly tight word count that I need to stay within when I include sidebars. On my current project there are two sidebar lengths. Short are less than 100 words. Long are 150 to 200 words. The hardest part? The part that took me so much time today? When there are multiple sidebars in a chapter, I need to make sure that they are spaced, more or less, evenly from beginning to end. When there are four, they don’t have to be at the 1/4 mark, 1/2 way, at the 3/4, and at the end. But most of them can’t be bunched up at the beginning of the chapter either. When they are, you may have to fold one into the main text and come up with another. It may not take long to write an individual sidebar, but making sure you have them dispersed correctly is another thing altogether. Somehow it had completely slipped my mind that this is Banned Book Week. This is a week of reading promoted by the American Library Association in order to make people aware how often people attempt to censor or ban books. There are people who simply cannot handle an idea that at they don’t agree with. When they see or hear such an idea, they get nasty. She wrote back that I was the only parent who realized this. And that was why she asked parents to sign a slip. She wanted her students and teachers to realize that perfectly ordinary books get banned. Yes, sometimes it is for extreme content. But often it is simply because an idea or concept scares someone and they don’t want their children exposed to it. You can check out a wide variety of banned books. There are numerous lists on the ALA web site. Coville, Bruce. Am I Blue? Some of these are picture books. Some are young adult novels. The point? People are easily offended and often try to control the ideas that children can access. Fortunately the ALA stands in their way. How do you urge yourself to write? Often we consider this a problem for part-time writers. These people have other jobs or full-time commitments and have to work writing into found moments. But it can also be a problem for the full-time writer. Most of us are great at meeting deadlines but not so great about completing anything that doesn’t presently have a contract. That’s how I feel when I’m trying to squeeze fiction in around my nonfiction contracts. I know, cry me a river. But it doesn’t change the reality. No matter what time commitments you have, you need to find a way to nudge yourself along. I’m on deadline so I’m perfecting willing to let the fiction sit and wait and wait and wait some more. That’s why I was so happy to find Jan Ellison’s guest post, “9 Practical Tips for Writing Your First Novel,” on the Writer’s Digest Blog. There are a lot of great bits of advice here. Write 1200 pages to get 300. Yeah. I know that feeling. Sometimes you need to get to know your character, attempt three different openings to each chapter, or play around to get a feel for the setting. They aren’t wasted words but sometimes it helps to know there will be words that don’t make it into the final manuscript. Only set writing goals that are within your control. A lot of people set goals like “get an agent” or “land a major publisher.” Goals like these are tough because you only have so much power to make them happen. “Keep my work on the desks of 5 agents at all times” or “study and submit to 3 new markets this year” are both attainable. But neither of these goals addressed my problem. The first one was close but didn’t quite work. “Get to the end of your novel.” Ellison warns writers to quit fiddling with page 1 and chapter 1 and just get to it. Write the darn book. “Get to the end of the novel” is too easy to ignore when I don’t believe I have time to work on it in the first place. So I adapted it. Now I have the above photo hanging off the bottom of my monitor. 5 minutes is doable. And every time I glance down to gauge my word count Loki is glaring at me. It’s really annoying when I haven’t working on my novel for five minutes. It looked like this for 7 days. For just over a week now, my family and I have had a visitor hanging out in our back yard. My husband spotted this monarch chrysalis hanging on the back of the house. This morning, I wandered outside just in time to see it . . . hatch. . . emerge? What exactly do you call it when a butterfly comes out of a chrysalis? When you write nonfiction for young readers, you quickly learn just how important it is to use the right word. Adults often want to dumb down writing for children but kids want to know the right word. They wanted to be trusted with that inside knowledge. Respect your reader and you are going to take the time to find the words that are appropriate to your topic. In this case, before I posted about it, I made sure it was in fact a monarch chrysalis. Yes, there other bright green chrysalis but none of them are this smooth. Definitely a monarch. I already knew that a monarch turns into a chrysalis vs spinning a cocoon. A butterfly caterpillar sheds its skin and becomes the chrysalis. The chrysalis literally emerges as the skin splits and shifts upward. We missed getting to see that happen. When a moth reaches this stage, it constructs a cocoon. Think about the silk worm cocoon. That’s a moth. Before I could write about the final stage, I yet again had to find a word. I simply didn’t know what the term was for “butterfly popping out of chrysalis.” A butterfly emerges. Be careful to do your research and use the correct terms. Make an assumption or pick something else simply because it is easier and you may very well be found out by one of your young readers. Remember – they love all these fantastic terms. They want to use the jargon of a real scientist, historian, doctor or pilot. Give them what they demand and keep them reading. Whenever I come across a list of must read writing books, I skim through it to see what I might discover. So it’s not surprise I clicked through to read the list Terri Frank composed for a DIY MFA blog post. When asked a variety of questions, the librarians queried each recommended a book. Here is their 6 item list along with some commentary from yours truly. Writer’s Market 2018 was recommended as a get started writing book. I have to admit that surprised me. I would definitely recommend it to the writer who has several manuscripts under their belt and is ready to seek out an agent or editor, but a newbie? I’m not so sure about that. I do have my copy so don’t think I’m dissing it. I’d just need to know what the newbie wanted to write before I made a recommendation. No Plot? No Problem! Revised and Expanded Edition: A Low Stress,High-Velocity Guide to Writing a Novel in 30 Days by Chris Baty was recommended for a writer who is prepping for NaNoWriMo. Literary Market Place was the suggestion for a writer with a technical manual to sell. The Seven Basic Plots by Christopher Booker was recommended for the author who failed to connect with their plot. I don’t know this book but I’m wondering how similar it is to Plot by Ansen Dibell which I have on my shelf. Storycraft: The Complete Guide to Writing Narrative Nonfiction by Jack Hart was recommended for someone who plans to write a memoire. I have to admit that I’m not madly in love with memoire but I’ve yet to find a nonfiction how-to that I love so I’ve requested this from my library. I keep them very busy. The Thirty-Six Dramatic Situations by Mike Figgis is the book the librarian will be reading. Wish my library had this one but they don’t so I may have to ILL it. Like I said, I believe in providing job security for the local library staff. So what 6 books would I recommend? The Book: The Essential Guide to Publishing for Children. 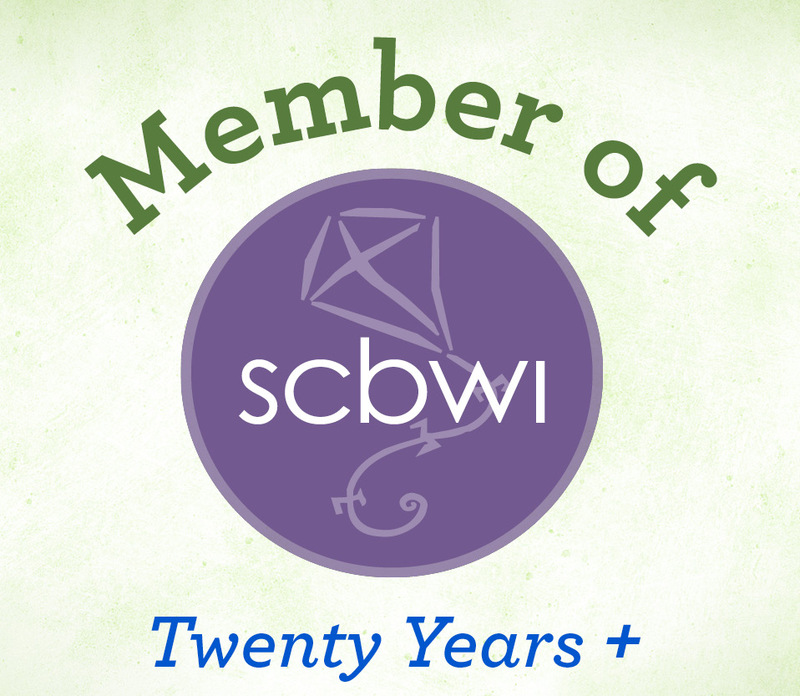 This SCBWI book is a compilation of their market guides and other handy references tools. Honestly, I use this more than I use Writer’s Market because it specializes in children’s markets. Writing Picture Books by Ann Whitford Paul is the go-to book for anyone who wants to write picture books. She analyzes the form, provides tons of information on the language and so much more. Honestly, I try to find time to look through this every time I start a picture book project. Novel Metamorphosis by Darcy Pattison. This book is all about rewriting your novel. It is a workshop in book form and if you follow it you will come out with a much better manuscript. I mean it. This is one every children’s novelist should own. The Emotion Thesaurus by Angela Ackerman and Becca Puglisi. This is an essential book for someone who wants to have their anxious character do more than chew on his lip or wring her hands. A great reference tool for emotions across the board and all types of characters. 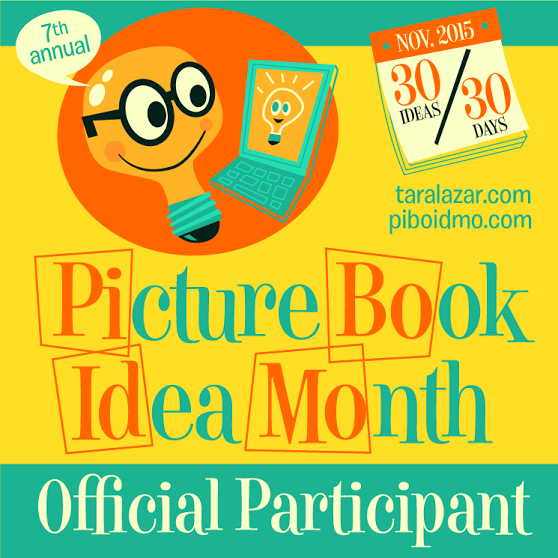 Picture This: How Pictures Work by Molly Bang is a how to that gives information on how the illustrations in a picture book convey emotion, lead the reader through the story, and more. Read this one for a better understanding of how illustrations function. The Plot Whisperer by Martha Alderson. This is a great book for studying plot structure – the ups, the downs and how they all come together for a satisfying story. A great tool for troubleshooting pacing and figuring out what isn’t quite working on your novel. Hopefully between the DIY MFA list and my list, you’ll find something new to inspire your writing. After all, we all need a little nudge every now and again. Middle grade novels like these have subplots. Last week I blogged about where middle grade novels fit into the “book with chapters” spectrum. On one end, you have chapter books. Chapter book readers have just mastered reading on their own. Because of this, sentence structure is straight forward. Internal dialogue is kept to a minimum. You have a plot and no subplots. Chapter book characters may venture into the world to have adventures but they return home. Unfortunately, about half way through my first draft I realized that my characters are not in the chapter book sweet spot – 8 years old. They acted 10 and as soon as I realized that it just felt right. But character age isn’t the only different between a chapter book and a middle grade novel. Chapter books tend to be from 4500 to 7000 words long. Middle grade? Younger middle grade like my book range from about 10,000 to 20,000 words long. Gulp. How on earth am I going to take a story from one range to another? Back in August I did a study of the balance between action, dialogue and narrative. Chapter books where almost 50/50 dialogue and action. There were only a few lines of narrative on each page. In the middle grade novel I sampled, dialogue was still about half of the total. Action and narrative were each about 1/4 of the total word count. This means that I can use more of my word count to build up that world and color in the setting. I also have space for a flashback or a bit of inner dialogue. But wait! There’s more. I can also add a subplot. Thank you to Mary Kole’s post “Writing a Novel Subplot.” She is definitely responsible for sending my thoughts in this direction. As she explained in her post, a subplot can take several forms. A secondary story for my main characters. This could work rather neatly as they gather scientific evidence on their find while trying to get back to their family. A story driven by one of the secondary characters. I don’t see this working. Unless I make another change. Right now I have a buddy story with two cousins as the main characters. If I make on of them the main character and the other a secondary character, that character could have his or her own plot line. Not sure I want to do this but it is a possibility. A story driven by the antagonist. That won’t work for this book simply because there is no “bad guy.” Circumstances conspired against them and I can’t see giving circumstance his own plot line. Something going on elsewhere in the story. To an extent, this is happening but it is more of the series story arc than a story arc to be explored in one particular book. Thinking forward, but first? I need to work through that subplot! For those of you who aren’t familiar with the Library of Congress, it is a true treasure hoard. The Library is the largest world library. The largest! It contains millions of books, newspapers, manuscripts, photos, maps, recordings and more. More and more of the Library’s holdings are digitized and placed online every year. These materials are all free for researchers to read, view and otherwise use. But many of the Library’s resources are copyrighted. Most of you know what copyright means but for those who don’t, it means that someone owns the right to this work. You may be able to use it as research but you cannot commercially reproduce it and use it in your own book, article or other media. Not without paying a licensing fee. That said, the library does have a large number of materials that you can use for free in any way that you wish. You can find many of these materials every day on the Library’s home page. The top section features an exhibit as well as material that is trending — what are people looking into right now? The middle section is all about the library. This is the section that you can use to plan your visit or discover what you need to know about using a research center. But the bottom part of the page? The section with the grey background? That’s the section we are interested in – Free to Use and Reuse. The works featured in this section have no known copyright restrictions. They may have been under copy right at one time, but that copyright has since expired. And right now “Free to Use and Reuse” is all about Classic Children’s Books. Go here and find looks to electronic reproductions of Baum’s The Wonderful Wizard of Oz, Barrie’s Peter and Wendy, as well as retellings of Snow White, the Three Little Pigs and Aesop’s fables. What can a writer do with these things? If you are writing a historic story, perhaps these are the books your own characters would have read? Or you can use them to make collage art for your website. Or mine them for your very own story ideas. Whatever you want to do. You’ll have to excuse me. Right now, I’m picking through Jack and the Beanstalk and Other Stories published by A.L. Burt.